Plate size: 3.75" x 2.25" x .25"
Plate size: 5.0" x 2.0" x .25"
The Kimba Neo clamp is specifically profiled for the Kimba Neo stroller and is a very solid base of support. Any of the Adapter Plates attach to the clamp, using one of the holes and a slot. The Angle Adjustment Plate can attach to the Adapter plate to allow for the vertical positioning and attachment of the Solid Wheelchair Bracke. This guarantees the post will be nearly vertical. 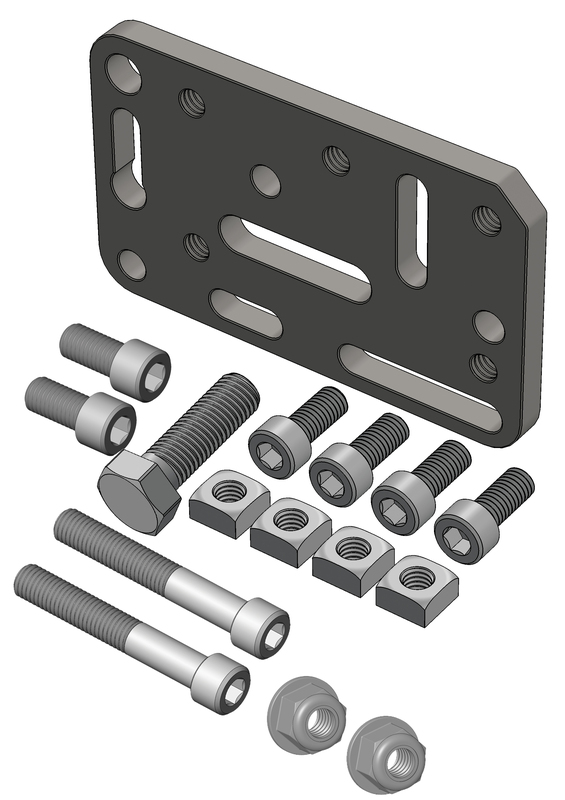 Be sure and order an Adapter Plate and an Angle Adjustment Plate (WC-AAP) when ordering the Neo Clamp. Compatible with Daessy wheelchair hardware. Connects to any Daessy Inner piece clamp or adapter. You can attach to some Daessy hardware with the Adapter Plate (WC-AP)--see the photo. Used for old-style Motion Concepts seat frames without slide tracks and where no through holes are available. If you need a different tube size, contact us. Provides improved stability when attaching a flat plate to a round tube. Use 2 when using them to attach an Adapter Plate. Can be used singly to offset mounting at a 90°, or used in pairs to extend mounting from 2.25" to 4.5" Fully compatible with all wheelchair mounting hardware. 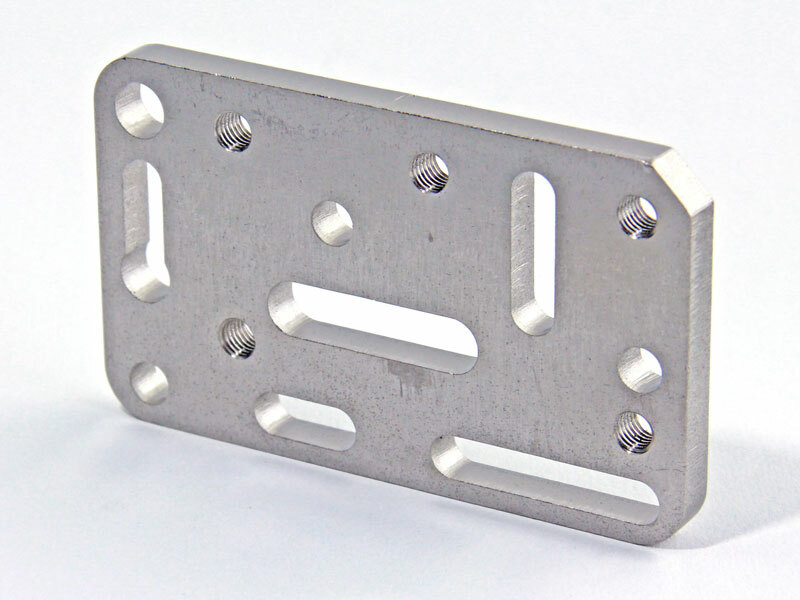 Plate size: 4.75" x 2.25" x .25"
Compatible with TDX and Quantum slide tracks. Bridge clamps must always be used in pairs, and in combination with an Adapter Plate. The Adapter Plate spans the Bridge clamps to create a solid attachment. 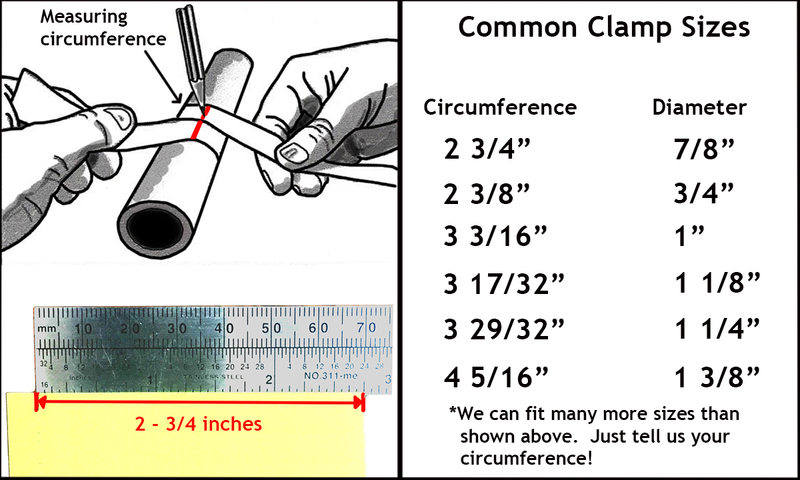 Choose from 1", 7/8", mixed pairs and Collar clamps. Eliminates tube-slip if clamped at right-angles.